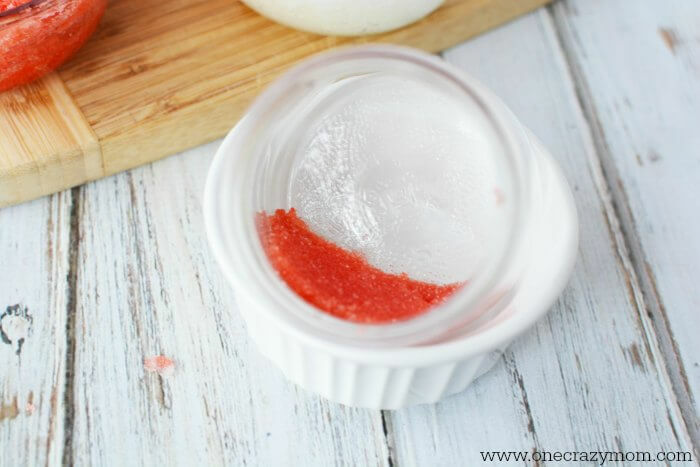 This sugar scrub is so luxurious and it smells amazing! 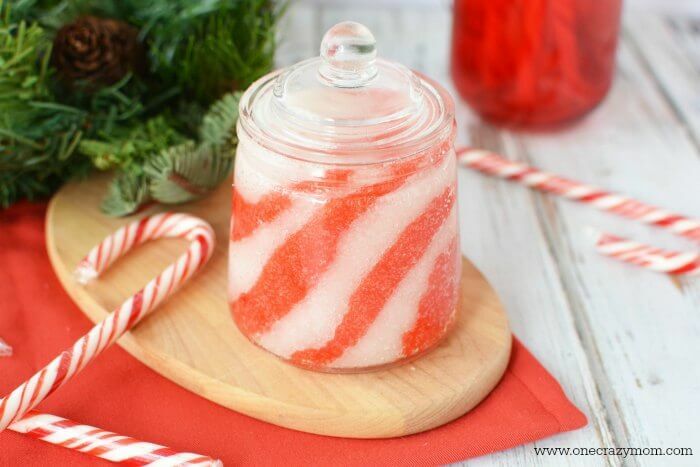 Learn how to make this simple yet gorgeous Homemade Peppermint Sugar Scrub Recipe that will leave your skin feeling smooth and silky. 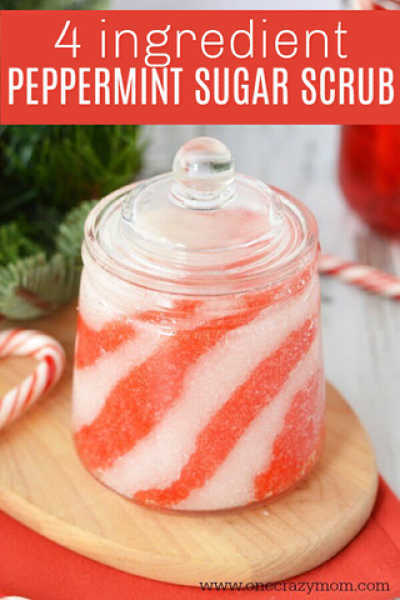 Peppermint Sugar Scrub is one of my favorite scrub recipes. Not only does it smell wonderful but it looks so pretty layered in a clear container. The red and white look so festive and it is truly the perfect gift idea for the holidays. Everyone will feel so pampered and put this thoughtful gift to good use. You might also want to keep a jar for guests to use when they come over. This would look so festive sitting on your bathroom sink. Guests can use a little on their hands and they will feel so special! Tired achy feet from lots of Christmas shopping will be grateful for Peppermint Sugar Scrub. The candy cane pattern is perfect for Christmas and the mint makes it smell so refreshing. Make up a big batch to give to friends and tuck a pair of comfy socks in the gift bag! You can add Peppermint Sugar Scrub Labels for Gift Giving. We love using chalkboard labels for this sugar scrub. It looks so pretty if giving this as Christmas gifts. You can get jars on Amazon for a really good price. Another idea is to use mason jars. The peppermint oil is also a nice deal on Amazon. I am always making something so it saves me time and money to have these on hand. I buy coconut oil in bulk too. We are trying to make more items all naturally so we use this a lot. These supplies are great to keep on hand for more DIY projects. 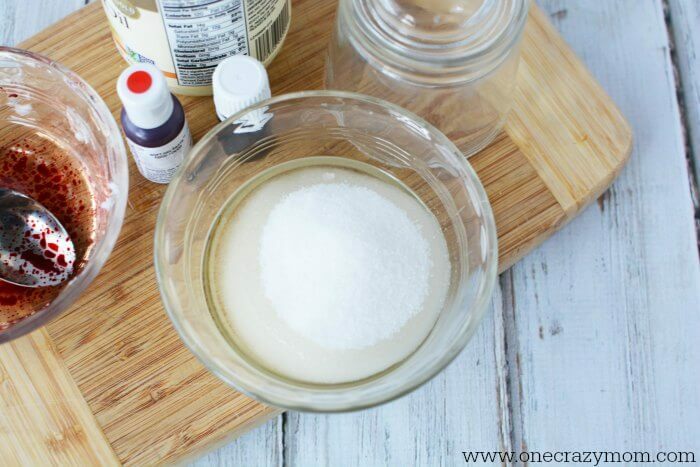 Let’s get started making this sugar scrub recipe! It is so easy and makes your skin feel amazing. 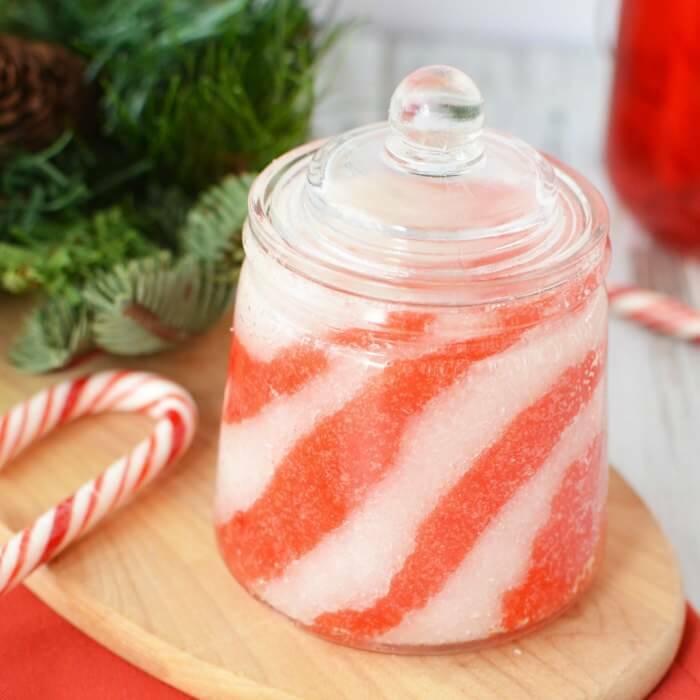 Once you know how to make peppermint sugar scrub, it is so simple to do! 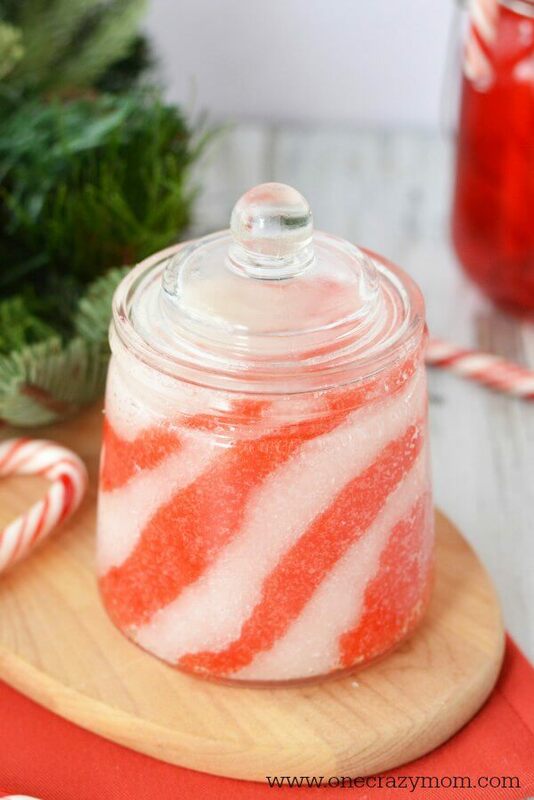 Peppermint sugar scrub is so easy and a great homemade gift idea with a long shelf life. How do you make peppermint body scrub? 1. Place 1/4 cup of coconut oil into a small microwave safe bowl and melt coconut oil. Microwave for 20 seconds and stir until completely melted. Set aside. Repeat the same procedure so you have two bowls of liquid coconut oil. 2. Place 3/4 cup white sugar into one bowl of coconut oil and mix well. You’ll want your sugar to be crumbly. 3. 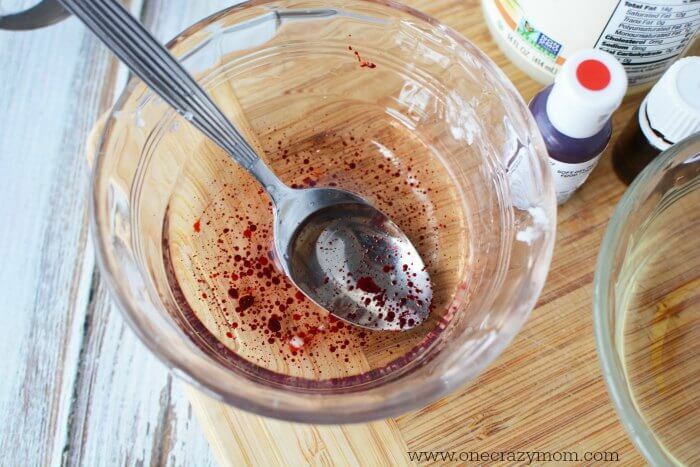 Place red food coloring or color gels into the other bowl of oil and mix. This won’t mix well since your food coloring is most likely water (vs oil) based. But that’s okay, it will come together in a minute. 4. Add 3/4 cup white sugar and mix well. This is when the color will begin to evenly distribute and blend with the sugar. Add drops of peppermint essential oil, 10-15 drops per color. 5. You can simply layer your sugar scrub horizontally but I wanted a different look. I angled my glass jar using a smaller glass bowl. 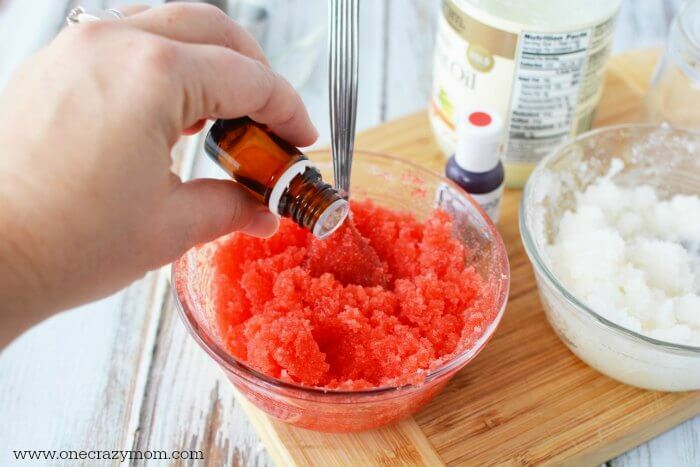 Add a small amount of red sugar scrub and pack down with the back of a spoon. Add white and pack down. Continue with this layered look until you have the jar full. To use, wet or dampen skin. Grab a handful of scrub and scrub onto your body, usually while in the shower. Focus on rough areas like elbows, knees and the feet. Rinse. You’ll notice the water will bead on your skin. This is from the moisture of the coconut oil. When finished showering, pat dry to retain moisture from the oil. 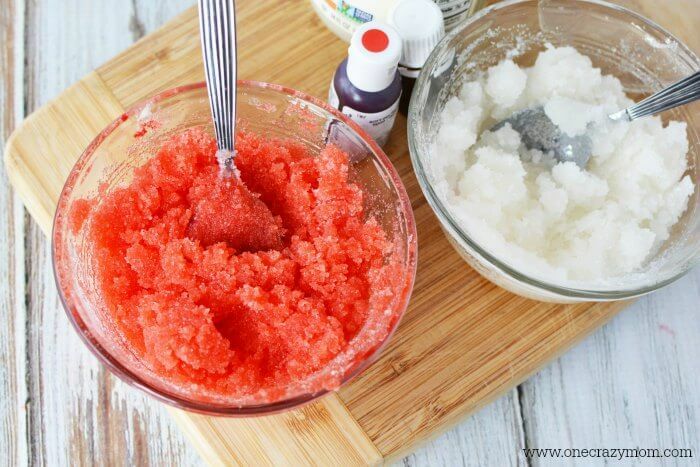 Rough areas will be smooth and silky after using this sugar scrub. Dry skin will be a thing of the past with regular use of this scrub. Yes! They slough off dead skin and work great for exfoliation. 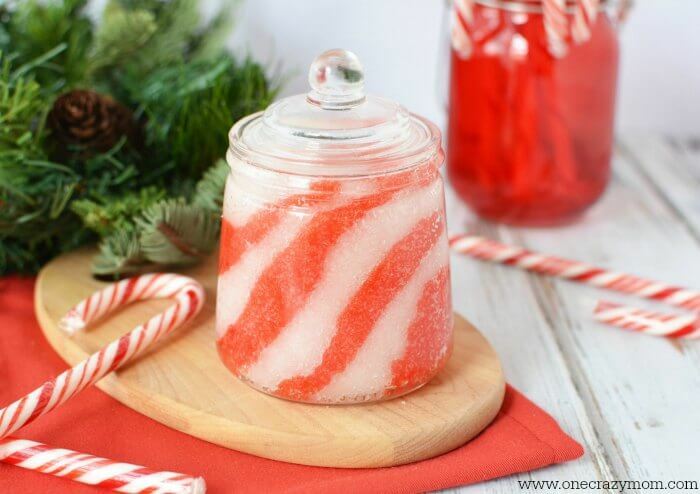 You will love this festive Peppermint body scrub! 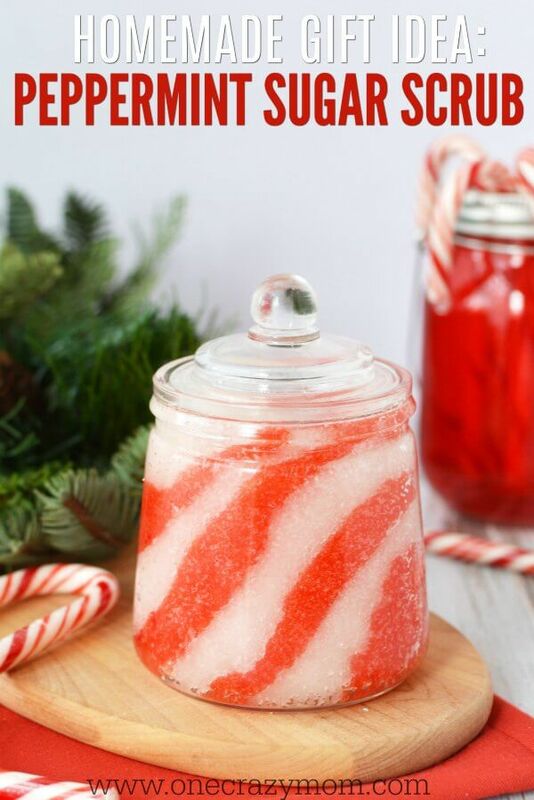 If you have been looking for the perfect Peppermint Sugar Scrub Pinterest DIY, look no further. 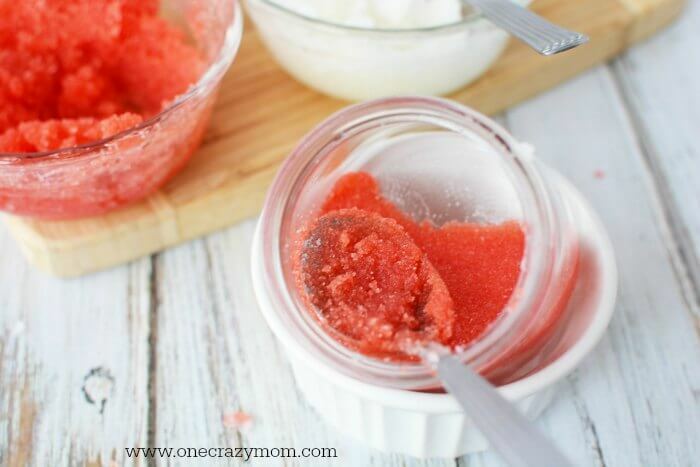 This sugar scrub is sure to impress! 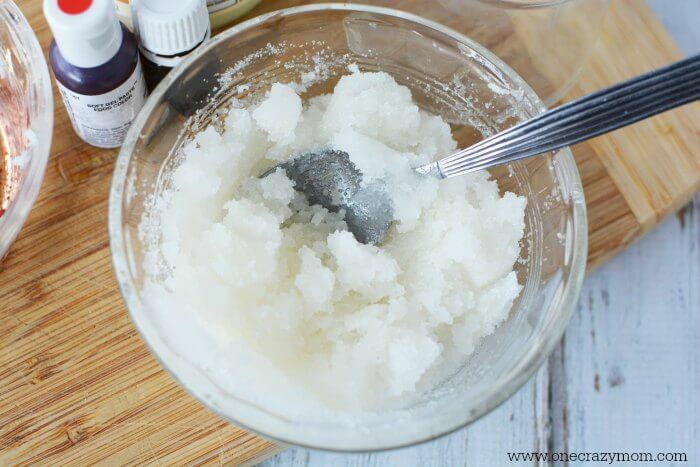 How do you make the best sugar scrub? We also make Brown Sugar Scrub that is also so moisturizing and smells so good. We are always trying new things so please share any DIY scrubs you make. 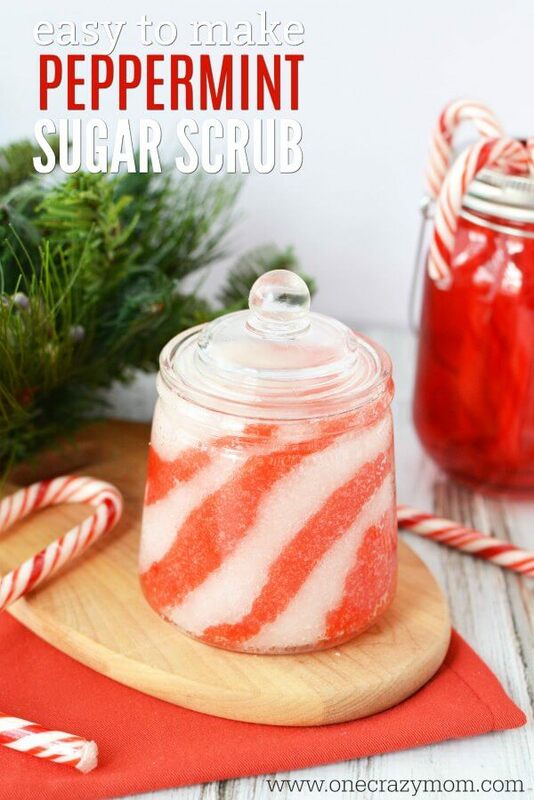 Try it and let us know how you Peppermint Sugar Scrub. It’s so moisturizing and smells divine. 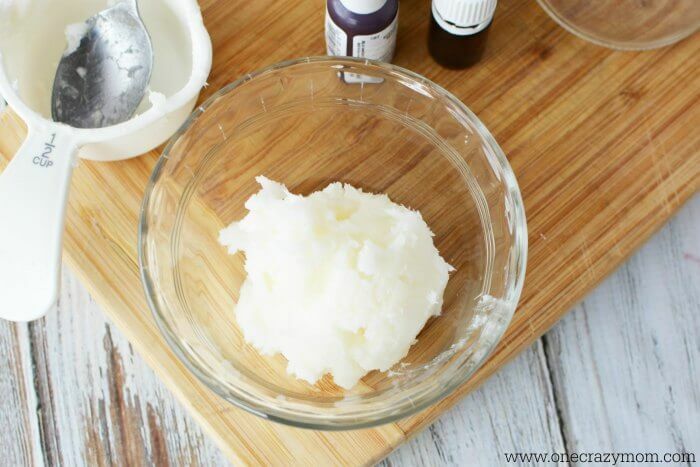 Here are 25 of the Best Natural Moisturizer ideas that you can easily make at home in just a matter of minute! 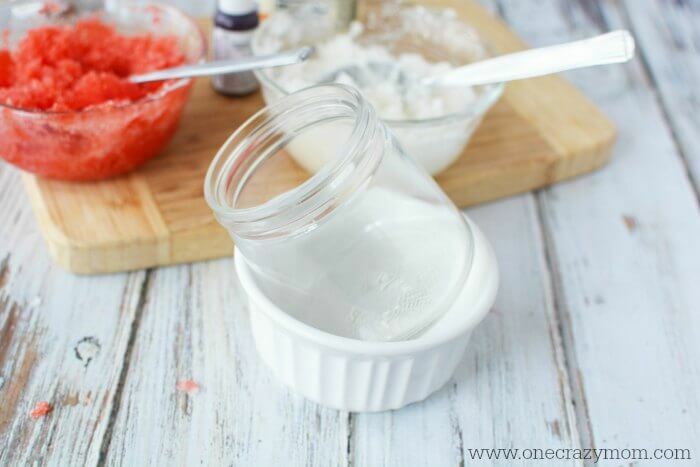 You might also want to try DIY Shaving Cream for Women. It’s so moisturizing! We love making our own products at home and it is so easy. We have a blast and even the kids help. It feels great knowing we are using products that we know what is inside and feel good about putting on our skin. Plus, we save money and it helps our budget! 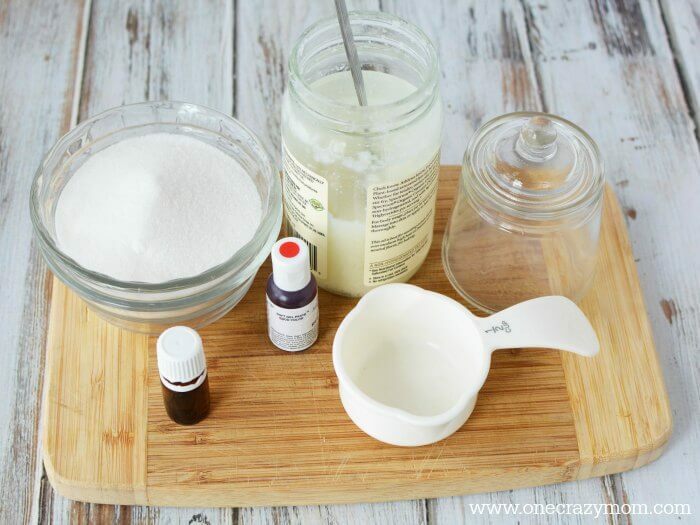 Learn how to make makeup remover. It is very simple and truly the best makeup remover! Where can I find coloring gel and does it stain when used on hands or body?